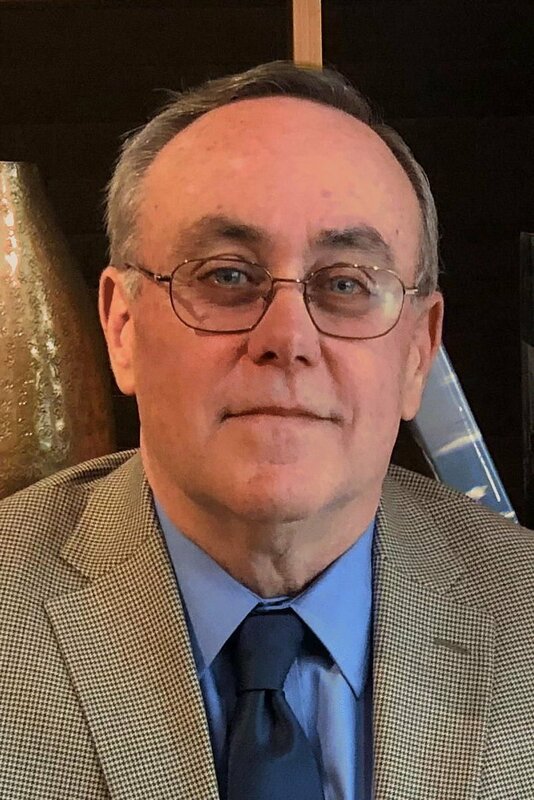 Edward J. Collins, Jr., age 68, died suddenly Sunday evening, February 3, 2019 at the Carlisle Regional Medical Center with his wife and son by his side. “Woodie,” as he was known since birth, was born on August 14, 1950 to Marie Assunta (Belmonte) and Edward J. Collins, Sr. at the Chelsea Naval Hospital in Chelsea, Massachusetts. His parents were both from the Boston area and they gave Woodie a lifelong love for all things “family,” including the Boston Red Sox and New England Patriots. The son of a career U.S. Army officer, Woodie went to eleven different schools before graduating from high school (a fact he noted with considerable pain in his voice), but when it came time to choose a future, he chose an Army career of his own. Woodie was admitted to the U.S. Military Academy in 1968 and graduated in 1972, embarking on a 24-year journey as an Infantry Officer. He was proud to have started his career with three years (1973-1976) in the 82nd Airborne Division and the next year on the DMZ of S. Korea where he was a newly-assigned company commander during the tense “tree cutting” incident. He served in the 82nd Airborne again at Ft. Bragg from 1977-1980 and as Assistant Professor of Military Science for the Army ROTC Department at Missouri Western State College, St. Joseph, Missouri, from 1981-1984. After graduating from Command and General Staff College at Ft. Leavenworth, Kansas in 1985, he was assigned to HQ, VII Corps in Stuttgart, Germany where he met his wife Ruth, also an Army officer, in 1986. In 1988, Woodie was assigned back to the 82nd Airborne Division and would deploy multiple times, to include to the Persian Gulf War, in 1990-1991. Assignments followed to Training and Doctrine Command HQs at Ft. Monroe and then to the U.S. Army Personnel Command in Alexandria, Virginia. Woodie and Ruth would finally marry at Ft. Myer, Virginia, in the midst of the historic blizzard of March 1993 in Washington D.C. The two were assigned back to Germany together in 1994 to the Mannheim/Heidelberg area. In 1996, Woodie retired from the U.S. Army for what he referred to as his most treasured assignment — becoming “Mr. Mom” for his and Ruth’s son, Sean, who was born in the Heidelberg Army Hospital. Ruth remained on active duty and Woodie fully embraced the pioneer role and remained Mr. Mom ‘til his last breath. He was proud of this role and described it as, “the best job in the world you can get without a resume.” It was Ruth’s assignments that brought the Collins family to Carlisle in 1997 and then again in 2000, but Woodie recognized early-on that Carlisle was a community to call home, and he proudly declared it the only place he ever lived more than three years. He was preceded in death by his parents. He is survived by his wife Ruth and son Sean, both of Carlisle, and his two sisters, Mary Lee Garrett of Wilmington, NC and Lucy Collins of Raleigh, NC and their children to whom he was the best uncle in the whole world. He also cherished his extended family still in the Boston area. The family will receive friends Friday, February 8th from 6PM-8PM at Hoffman Funeral Home & Crematory, 2020 W. Trindle Road, Carlisle. A funeral mass will be held Saturday, February 9th at noon at the Carlisle Barracks Chapel (Mary Queen of Peace Parish) with Monsignor (MG, Ret) Don Rutherford as celebrant. Woodie will be laid to rest in Arlington National Cemetery at a later date. In the spirt of service that Woodie lived, the family asks that in lieu of flowers you help a child, an elder, a veteran or his/her family, or anyone less fortunate through a charity of your choice.